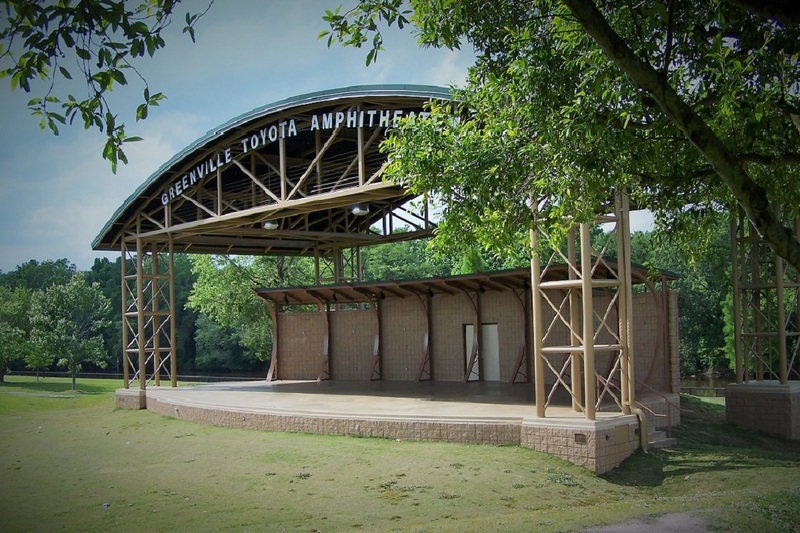 JKF ARCHITECTURE designed and executed the construction of a new outdoor stage and amphitheater for the City of Greenville to replace an old, wooden structure destroyed by 1999 flooding. 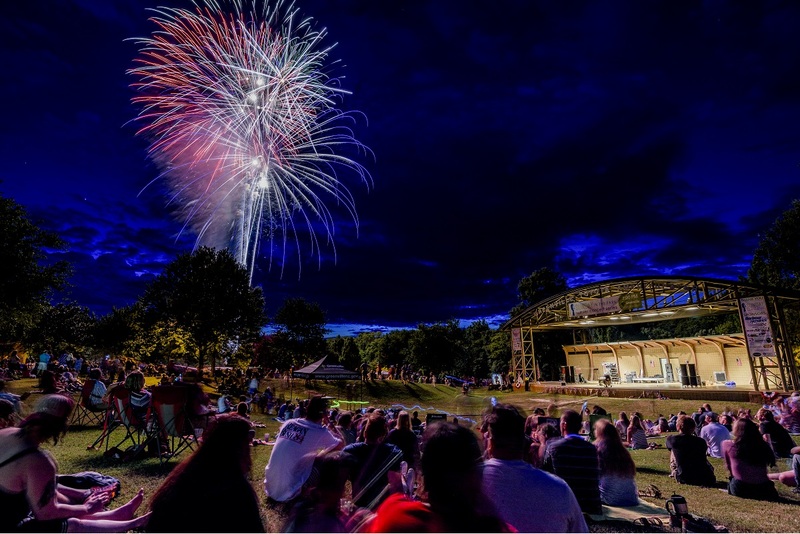 The design includes a new 2,800 square foot stage with an acoustically treated back wall. 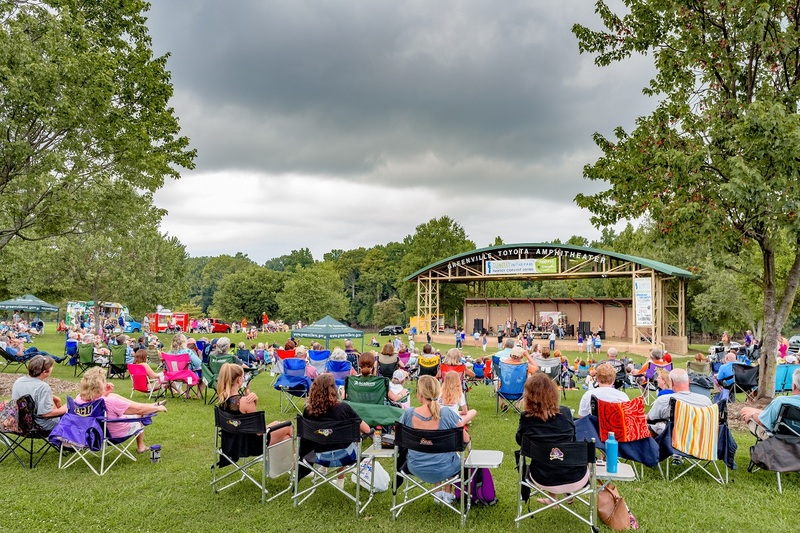 The entire stage area is covered by a new steel framed curved roof system complete with an integral catwalk system for lighting and sound control access. The new facility also included a new greenroom and backstage areas. 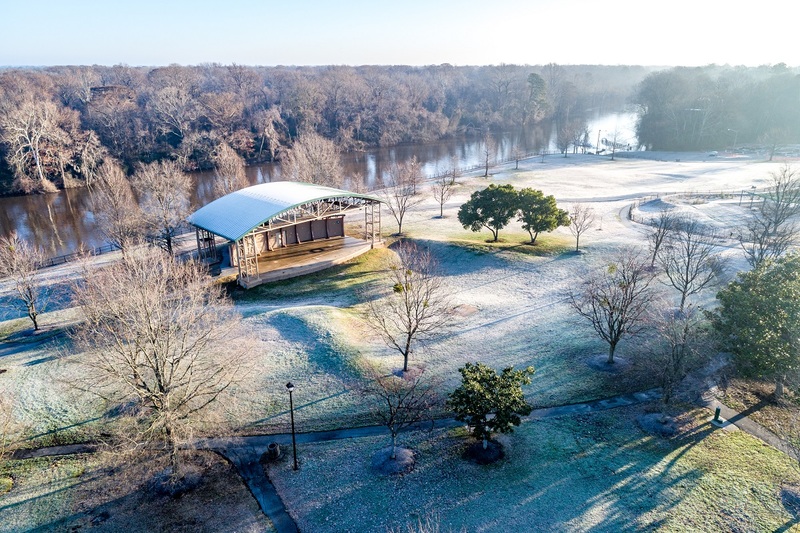 Since its construction, the Amphitheater has served as a hub of community activity, hosting concerts, festivals, and other events. 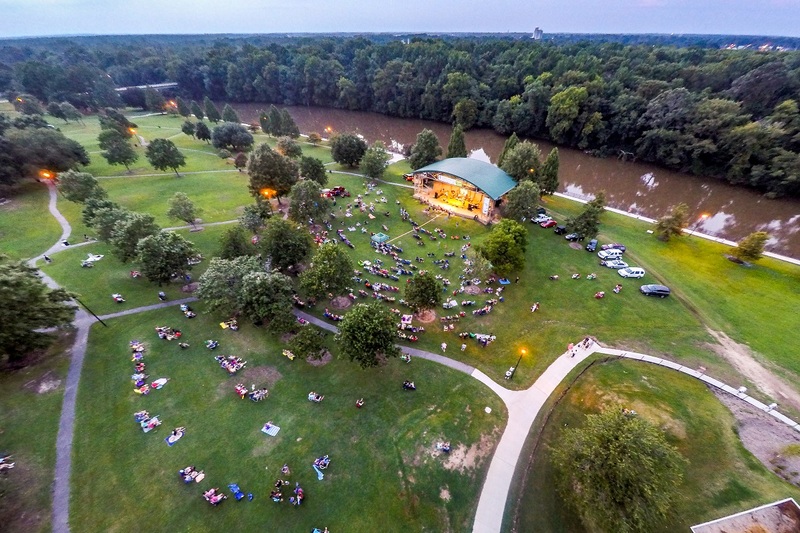 (Photo Credit for Images 1, 3, 4, and 5: Aaron Hines for the City of Greenville, North Carolina).